There are many reasons that highway engineers and motorists prefer asphalt. Simply stated, asphalt pavements are designed and built to last. Most roads are constructed in layers, with each layer playing its part in delivering the best infrastructure possible. When it’s all put together, asphalt pavements can handle the toughest traffic punishment. Asphalt pavements offer numerous benefits to the owner and the user. Asphalt pavements are perpetual – they can last forever when designed properly. Therefore, the owner will not have a large expense in the future to replace a failed roadway. Instead, as the surface of the roadway wears out due to traffic and weather, it can be quickly removed and replaced with minimal traffic disruption. Think of it as the roof on a house, when the shingles wear out, the home owner replaces only the shingles – but they do not need to build a new roof. Asphalt pavements provide a smooth, quiet, economical surface. For the owner, the smooth asphalt surface reduces damage to the pavement. This allows the pavement to last longer with fewer repairs. For the user, the smooth pavement improves fuel efficiency and reduces wear and tear on the vehicle. As for noise, asphalt pavements are used around the world to reduce noise both in the car, and to the homes along the road. This benefits the owner, the user, the occupants along a road, and the environment. Paving with asphalt cuts construction project time significantly and eliminates the long curing times associated with concrete. As a result, traffic flows more smoothly and impact on commerce is minimized. 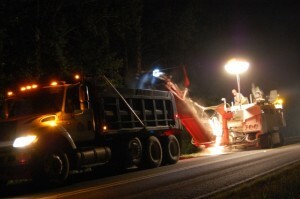 Asphalt paving projects can be planned and carried out to take advantage of off-peak periods, like nights and weekends. Asphalt is ready for traffic right after it is compacted and cooled, meaning that roads don’t have to remain closed for curing. This enhances traffic flow and minimizes closures and delays that frustrate motorists and cost money. Asphalt is best for parking lots, and for such specialized applications as airports and racetracks. 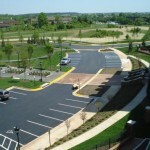 About 85 percent of the parking lots in the U.S. are asphalt. Busy commercial airports such as Baltimore-Washington International, Oakland International, San Francisco International, McCarran (Las Vegas), Pearson International (Toronto), and Logan International (Boston) and Richmond International (Richmond, VA) have main runways surfaced with asphalt. Boston Logan’s airport has paved a runway with warm-mix asphalt, making it one of the greenest airports in the world. Asphalt is also used on 85 percent of the runways at general aviation airports. Asphalt’s speed of construction makes it an ideal choice for rehabilitation of busy aviation facilities. Asphalt pavements provide smooth driving surfaces combined with the excellent traction demanded by professional stock car racing. Of the 33 NASCAR race tracks across the country, 31 are paved with asphalt. Of the 88 race tracks listed for the NASCAR Short Track series, 64 are asphalt, 21 are dirt or clay, and only three are concrete. And then there are the countless drag strips across the U.S. and Canada, 1/8 mile, ¼ mile, too many to count. What is their preferred pavement? Asphalt! 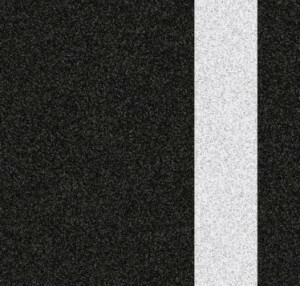 Your ticket for the: Why Asphalt?